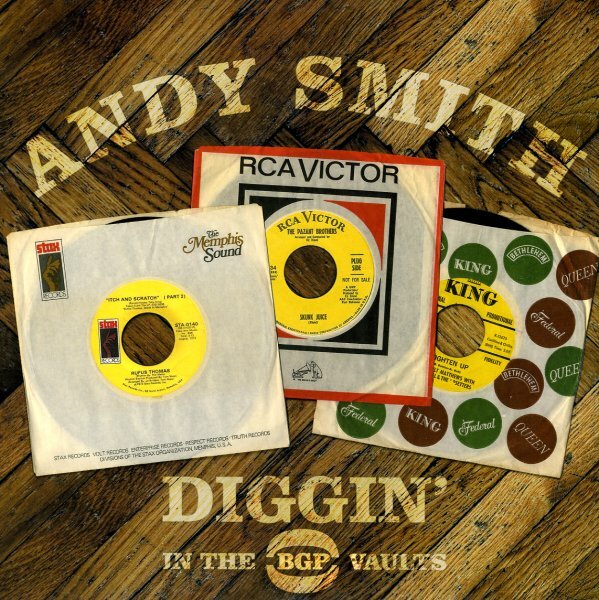 A masterful set of old school funk & soul put together by DJ Andy Smith – who also worked some magic a few years back for the BGP label on the Northern Soul tip – this time out doing his thing with prime funk from the late 60s & early 70s! Smith does a excellent job of mixing sample classics that helped build golden age hip hop, many deeper tracks – funk nuggets from The Blackbyrds, Billy Garner, Funk Inc, Spanky Wilson and many more! Vinyl version is not a continous mix like the CD – and works as a straight up, excellent funky compilation. Titles include "Cracklin' Bread" by Dave Hamilton, "It's My Thing"by Betty Moorer, "I Don't Know What It Is But It Sure Is Funky" by Ripple, "I Got Some" by Billy Garner", "Can't Get Enough" by 87th Of Broadway, "Skunk Juice" by Pazant Brothers, "I'm A Good Woman" by The Generation", "Tighten Up" by Roosevelt Matthews and more. 24 tracks on 2LPs. © 1996-2019, Dusty Groove, Inc.